A number of studies have been conducted that show a modest connection between childhood ADHD and risk for later substance abuse (Biederman et al., 2006; Lambert & Hartsough, 1998; Mannuzza et al., 1991; Molina, Flory et al., 2007; Molina, Pelham et al., 2003;2007). Study findings vary somewhat due to different ages of the participants, different types of samples (children recruited from treatment clinics versus children in large community survey studies), different ways of measuring substance abuse, and differing levels of attention to other problems such as conduct problems that may also be related to substance abuse. Across a number of studies, however, there is a recurring pattern of findings that children with ADHD have an increased risk for substance abuse of one form or another. ADHD also contributes to a faster progression from initial use to abuse, and substance abuse may follow a more aggressive course among individuals with a history of ADHD. Clearly alternative approaches to ADHD are needed. Dr. Ray Smith, Dr. Charles F. McCusker Ruth G. Jones and Dr. Delbert Goates conducted a study on the use of cranial electrotherapy stimulation in the treatment of stress related attention deficit disorder, with an eighteen month follow up. It involved 23 children and adults, 9 males, 14 females, 9 – 56 years old (average 30.96) with an average education level of 10.56 years. All had been diagnosed as having generalized anxiety disorder (61%), and/or depression (45%), and/or dysthymia (17%). 8 had a primary diagnosis of ADD. CES treatments were given daily, 45 minutes per day for 3 weeks. Results showed a significant decrease in depression as measured on the IPAT depression scale as well as in mean trait anxiety as well as a significant increase in IQ scores. On 18 month follow up, the pts performed as well or better than in the original study, the Full Scale IQ had not moved significantly from where it was after the first 3 weeks of treatment, the Performance IQ fell back slightly, while the Verbal IQ continued to increase. There did not seem to be any pattern of addiction to or over dependence on the CES device. See also the following case study sent us by a participating physician. CES Intervention Diffuses Anger, Decreases Hyper-Irritability, & Improves Health of 21-year-old Female College Student after Other Therapies Fail. The patient is a twenty-one-year-old female college student whose learning disability took the form of hyperactivity turned inward where it emerged as a self punitive hyper-irritability. Rage states could be triggered by someone in the classroom dropping a pencil nearby, a teaching assistant looking over her shoulder, a nearby student tapping his toe, someone snuffling his nose nearby, students leaving early and letting the door slam, or a teacher lecturing and writing on the board at the same time. At such times the patient would sometimes leave the room, go somewhere and cry cathartically in self anger for having become irritable. Throughout childhood she was often sick, was known for carrying tissues at all times, could not digest her food if she ate just prior to going to school, and could not digest “junk food” snacks eaten during the school day. Anything sweet was a special digestion problem. She could not mobilize and focus her energy for more than three hours at a time during the day, was always tired, never standing when she could sit, and never walking when she could ride. In any case, she needed to nap every three hours for ten to twenty minutes in order to make it through a school day. This she did by putting three chairs together in the library stacks and sleeping on them. Yet she had good learning and memory skills during the few calm moments of her day. She also studied better at night after the family was in bed. Various treatments were tried with this patient, including visits to other physicians, chiropractors, educational kinesiologists, and holistic therapists. She was given enzymes, thyroid tests, massage for “tight intestines,” brain entrainment audio tapes, vitamin B shots, and work with an “alpha pacer.” The vitamin B helped her energy level when it sagged, the entrainment tapes and “alpha pacer” helped temporarily. Light and sound stimulators were not effective. A year ago, the patient was introduced to Cranial Electrotherapy Stimulation (CES) which made significant improvements early on. She used it 45 minutes per day at first, then began wearing the device also during college examinations. Presently she wears the device twice a day for an hour and a half. Her hyper-irritability has subsided, her energy level has balanced out, she no longer carries a box of tissues everywhere she goes, and most significantly she is able to concentrate and learn with greater ease. She now gets up in the morning without encouragement, functions well in early morning classes, no longer needs to frequently nap during the day, and is completing her studies with less effort and worry. Her digestive system is functioning normally even as she continues to eat junk food. 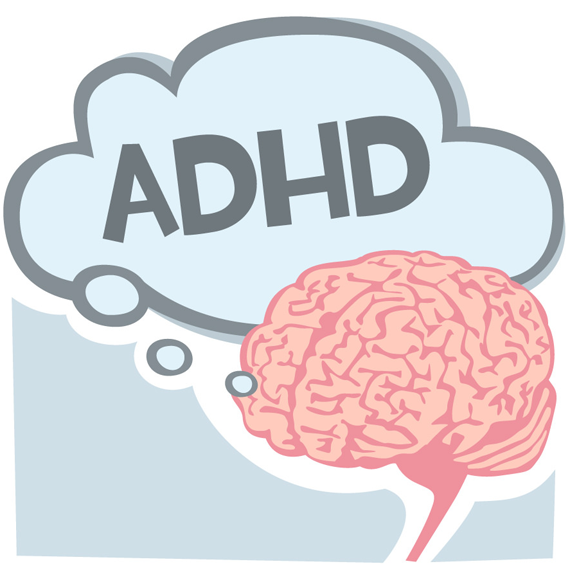 Do you have a son or daughter suffering from ADHD? Before you start on a drug regimen, try a safe, effective alternative. This entry was posted in ADHD, Alternative Health, CES Research on November 17, 2015 by cesadmin.